Customers frequently walk through our door and launch into a stage of reminiscence: they remember a relative or a friend bringing home a live lobster that weighed more than the family dog, they remember paying less than a dollar a pound for lobster, they remember walking into the same exact building from their childhood and observing it just as they do now – the worn, salt-laden wooden planks on the floor, the salt sticking to everything, even the air, and the tanks teeming with live lobsters for sale. Some of these customers will ask questions about how the business is faring or whether so-and-so still works here, but most of them just talk, because for many, talking is the best form of remembering. And always there are the newcomers – the ones who ask how this all came about. For all intents and purposes, here are the answers to those questions. It was the early 1950s and Earle Sanders was a seafood delivery truck driver for a local fisherman named Jimmy Haigh. Jimmy used to store his locally-caught lobsters in a lobster ‘carr,’ a primitive holding device made from wood, which he floated in the back channel of the Piscataqua river. 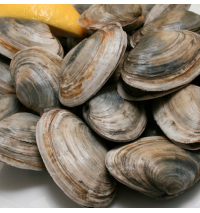 Jimmy was a seafood wholesaler with suppliers up and down the Maine coast and a list of customers comprised of local restaurants and A&P supermarkets. Earle’s job involved interacting with these suppliers and customers as he picked up and dropped off deliveries. The arrangement was happy but short-lived. In February of 1952, Jimmy Haigh drowned at sea. He was aboard a boat bringing a load of lobsters back from Monhegan Island, a small fishing community off the coast of Maine, when a nor' easter hit the coast. The vessel went down and both Jimmy and the boat captain were lost. Jimmy's wife, Eleanor, kept the business running and Earle stayed on as an employee. 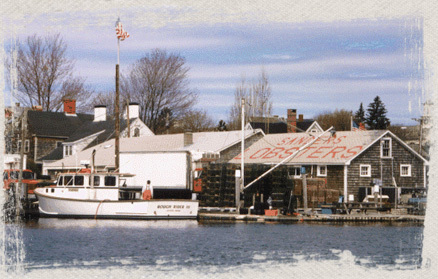 They still stored the lobsters in the back channel but they also leased a dock platform on Pray Street, the same location where the pound stands today. Twenty months after her husband's death, Eleanor herself died. Earle continued to run operations for the Haigh estate, retaining the same suppliers and serving the same customers. On New Year’s Day, 1954, Earle purchased the business from the Haigh estate executors and founded Sanders Lobster Company, which at the time was little more than a house, a truck, a car and a list of contacts. 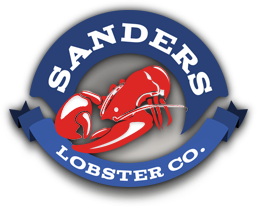 Even today, Sanders Lobster Company still keeps in touch with its humble beginnings. Little has changed in the building over the years and the company employs only a handful of full-time employees. 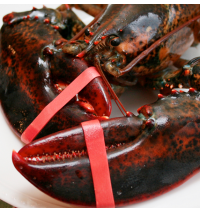 Even so, the business handles an annual average of over a million pounds of live lobster, the bulk of which is sourced from the Gulf of Maine. 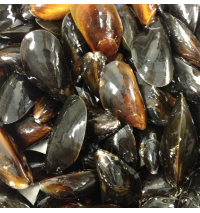 Earle spent the remainder of his life building the company into a reputable supplier of quality shellfish. In 1986, he sold the business to his son, Jim, who runs the pound to this day. Although Earle passed away in October of 2008, his legacy of hard work and thrift remains.